Super Etch is a precoat primer that offers the ultimate in adhesion to bare steel, aluminum, galvanized and zinc coated substrates. Formulated to be used as a pretreatment coating, Super Etch bites into the substrate and promotes the adhesion of additional primers and sealers. Etch Fill provides the convenience of a self etching corrosion resistant precoat primer with moderate filling properties. 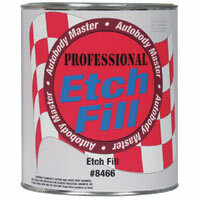 Etch Fill offers excellent adhesion to bare steel, aluminum, galvanized and zinc coated substrates. Etch Fill etches into the substrate and fills minor imperfections. 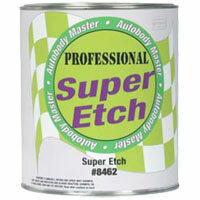 Etch Fill can be topcoated with additional primers, sealers or topcoat directly with color. 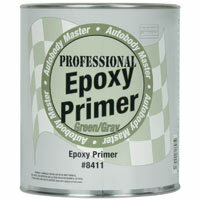 Epoxy Primer offers good corrosion resistance, excellent adhesion, and excellent color holdout. Epoxy Primer can also be used as a sealer when reduced with a urethane grade reducer. Lead, chromate and isocyanate free. Color: Green/Gray, Black and White. Fast Prime is an extremely versatile, high build primer surfacer that’s ready to sand in 45 minutes. Fast Prime offers excellent corrosion resistance and adhesion to bare metal. 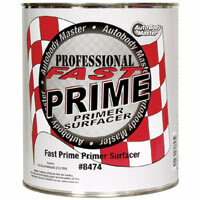 Use Fast Prime as the primer of choice when you’re looking for a production oriented primer surfacer. Urethane Primer is formulated to offer a premium quality, acrylic urethane coating with excellent filling and building properties. 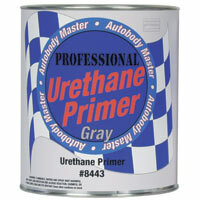 Urethane Primer is the ideal primer for urethane base/clear topcoats with excellent color holdout. Flexible, fast dry, no shrinkage, and very resistant to sand scratch swelling. Color: Buff or Gray. Mix Ratio 4:1. Barrier Coat is a ready to spray, high solids, waterborne primer surfacer offering a protective coating on sensitive or troublesome substrates. 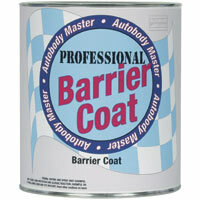 Barrier Coat offers incredibly smooth sanding with excellent filling properties. Barrier Coat is compatible with solvent and water based primers, sealers, and topcoats. Color: Gray. Ready to spray! 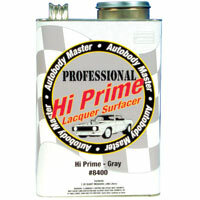 Hi Prime is an acrylic lacquer primer surfacer offering high solids, quick filling, quick build, easy sanding and excellent adhesion. Excellent everyday primer with minimal film shrinkage. Color: Red Oxide, Gray and Hot Rod Black. Mix Ratio 2:3. Ready to spray acrylic sealer for faster topcoat coverage and better color holdout. 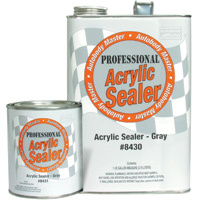 This sealer is fast drying, easy flowing and provides a uniform color that’s satin smooth. ShadeSystem 2K Sealer is a super productive primer sealer that offers a variable gray shade intermix system, excellent flow and leveling, excellent color holdout and medium build to fill many small surface imperfections. 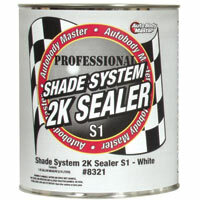 ShadeSystem 2K Sealer can be topcoated 15-30 minutes after application, nib sanded after 20-30 minutes if needed.